Rugby is returning to Wesleyan in the coming weeks. The Old Methodist Rugby Football Club (OMRFC) is playing two matches against Little Three rivals Amherst and Williams and hosting its second Rugby Sevens Tournament after the team’s success last year. The first portion of the OMRFC’s fall season was mixed, as the team had two victories over St. Anselm College and Framingham State University but eventually fell to Williams, Amherst, and Trinity to finish with a 3-3 record. New leadership has arrived, with Nathanael Mathieu ’20 and Casimir Fulleylove-Golob ’21 taking over as co-captains and former captains Pete Ryan ’19 and Lucas Mani ’19 stepping down after four years on the field. Though short and sweet, the upcoming season will be a real challenge for the Cardinals as they face NESCAC heavyweights Amherst, Trinity, and Williams. Their first match will be at Williams and will probably be the toughest match of the season. Williams boasts a roster of over 60 players (more than double that of OMRFC) and already beat Wesleyan in the fall after a tough slog of a match. The Sevens Tournament held at Long Lane Farm on April 13 will be more of an even competition, but the Red and Black will be hungry for revenge after a brutal encounter with Trinity in the fall season. The team will be looking to assert itself as a rugby powerhouse over weaker sides like Fairfield University and St. Anselm. Finally, OMRFC will travel to Amherst the following weekend and hopefully will be able to even the score after Amherst pulled off a victory against the team during Senior Day last fall. Despite a mixed first half of the season in the fall, OMRFC boasts a potent squad with the return of a few key faces. Fulleylove-Golob returns as top scorer with ten tries across five games and 78 points across the entire season. Julien Loo ’21 has come back after a semester’s absence, creating a potent scoring duo right in the middle of the field. British imports Bryce Hunt ’22 and Jack McEvoy ’22 have added valuable experience to the offensive side of the ball while Thomas Horikawa ’21, Max Duerr ’22, Myles Johnson ’22, and Phillip Kaelbling ’22 all offer solid defense and good work rates to keep attacks moving. 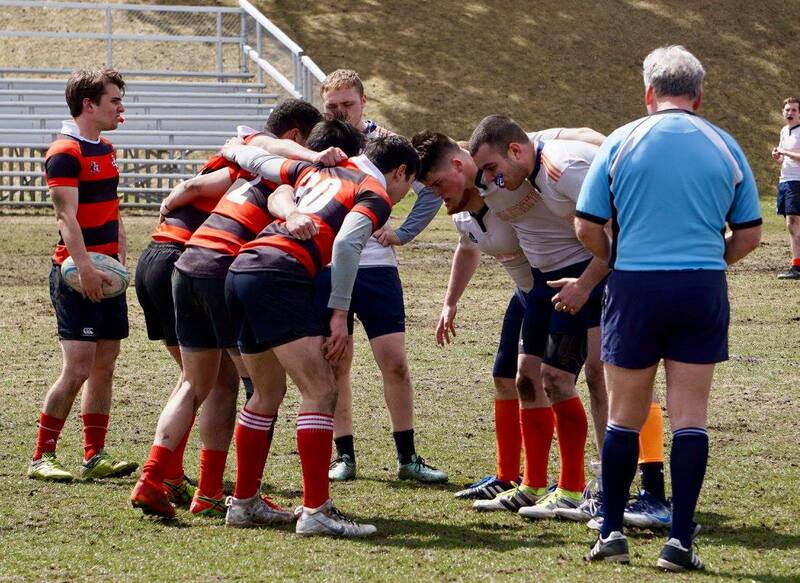 OMRFC also boasts many POSSE members, including Mitch Motlagh ’20, Jake Meyer ’21, Bobby Contreras ’22, Tyler Johnson ’22, Sergio Venizelos ’22, and Forrest Walker ’22, whose diverse backgrounds and experiences have helped mould the club into a cohesive team. The team has five seniors finishing out their college rugby careers this spring: Will Dempsey, Nic Fernandez, Kevin Jahns, Mani, Ryan, and Dan Thaler. The squad is now dominated by sophomores and first years, so this stretch of matches will be vital to shaping the team for seasons to come. The team’s spring season begins with a trial by fire at Williams; if OMRFC is able to achieve a victory, it will transform the OMRFC completely and set the stage for the club’s long-term success. Both matches in the Little Three will be challenging, and the Sevens Tournament will be a good opportunity to allow some new players on the field. This entire stretch will be important to establish the new culture at the club as its seniors prepare to leave and the next lot to take hold of the reins.